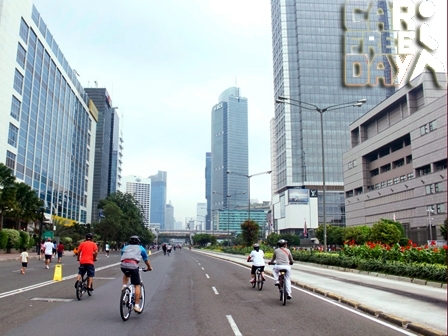 Car free day will be held routinely again starting on July 9 after it was suspended from June 18 to July 2. "We have a team which is specialized in handling car free day event"
Jakarta Transportation Dept. (Dishub) Deputy Head, Sigit Wijatmoko said, var free day was suspended because all personnel were focused on homecoming flow and back flow. "It will be held routinely again starting on July 9," he expressed, Monday (7/3). He explained that his team which is specialized in handling car free day will take care of the event. "We have a team which is specialized in handling car free day event," he closed.